What is Canadian dollar LIBOR? As a consequence, the Canadian dollar LIBOR interest rates on this page have not been updated since the last fixing on May 31th 2013. In the following table we show the latest Canadian dollar LIBOR interest rates. 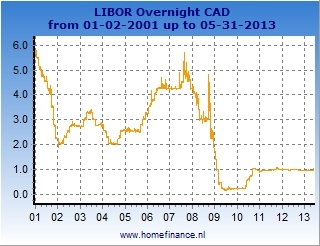 The left charts show all the Canadian dollar LIBOR rates from the start. The right charts show the rates during the latest 12 months. 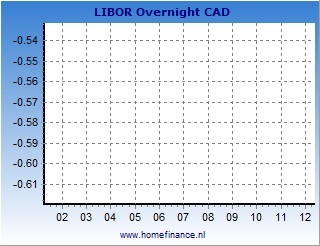 You can select all available Canadian dollar LIBOR rates (maturities).